Thought you already knew and loved tequila???? 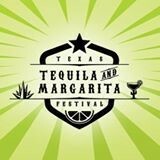 Well this weekend you get a chance to explore it and rekindle the love all over again at the Texas Tequila and Margarita Festival in Moody Gardens. Starting today you have a chance to explore everything you loved about the spirit and discover new ways to tap into the best tequila has to offer. When it comes to spirits, few are known to result in more spirited fun than tequila. Love it or hate it, it’s hard to deny that when tequila mixes with music at an outdoor festival a true extravaganza is in the horizon. Tequila is renowned for its ability to get the party going, but the festival offers a chance to explore another side of tequila. Taking it slow and sipping tequila is a way to tap into the flavor profile, especially in some of the vintage variations. If sipping is not for you the festival will also explore the magical world of margaritas with an assortment of strengths and variations sure to hit the mark on almost anyone’s palette. On top of all the fun a tequila celebration already provides, the festival’s outdoor celebration is fun for the whole family. The Casa Sauza Outdoor Margarita Festival recreates its origins of Mexico in their traditional Mexican village. Stroll the village with shopping and food all with your favorite margarita flavor in tow. Music performances will keep the party going throughout the day to make it a perfect outing for adults and kids alike.